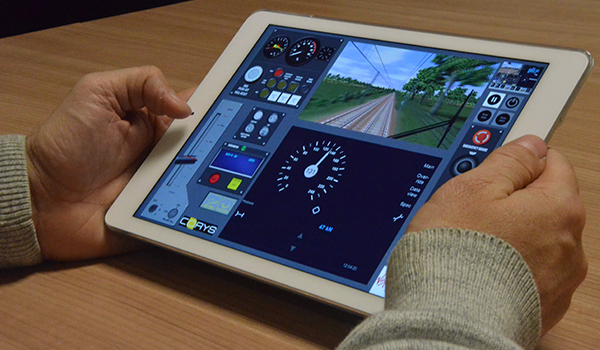 As part of a programme to renovate its eight console simulators, London North Eastern Railway (LNER) equipped its four training centres with SODA, CORYS’ Simulation On DemAnd solution. The aim is to validate this training method and use it in more clearly defined ways. Things are changing at London North Eastern Railway. The eight console simulators installed by CORYS in 2007 were renovated last summer, acquiring new features (including a new software platform and ERTMS). A second renovation project is also underway to add Hitachi’s Azuma train, which will be gradually replacing the HST High Speed Train from this autumn onwards. Last but not least, the UK operator has also benefited from Simulation On DemAnd (SODA) since the end of November. Each of the four training centres has eight permanent access slots, allowing the firm’s 350 drivers, who already have their own iPads, to log on locally and independently complete training exercises. LNER has been particularly appreciative of how agile the solution is because SODA students are not simply confined to set exercises. Using wifi or any other communications network, it can be linked to the driving simulator and train models. All new training exercises become immediately available on the connected tablets. Ideally, SODA would have been interfaced with the LNER student database, bringing together all their training results. However, this aspect has been postponed until the operator’s new Learning Management System (LMS) is rolled out. For the time being, the training exercise scores are being stored on a dedicated local LMS. CORYS has also conducted two days’ worth of training for instructors. The goal was to train them in how to devise exercises, covering both technical and pedagogical aspects. Training exercises last no more than 15 minutes and include several series of self-assessment questions; this format is quite different from the scenarios used on a simulator.